New Products — Bicycle Pedal Rubbers and Grips etc. 1925 to 1935 ? Mead pedal rubber. 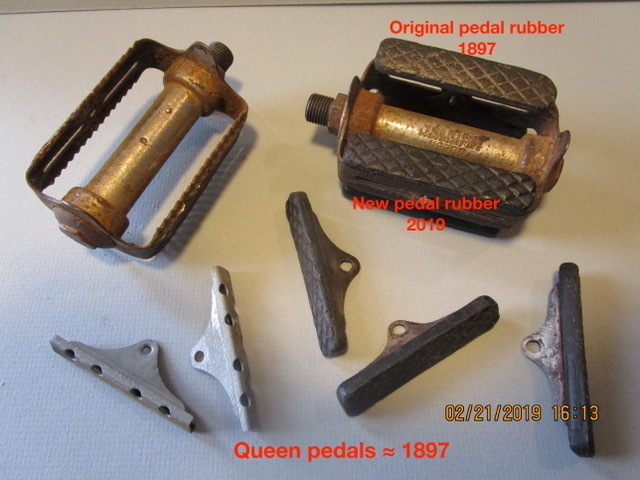 Mead used these English Brampton pedals on some models. 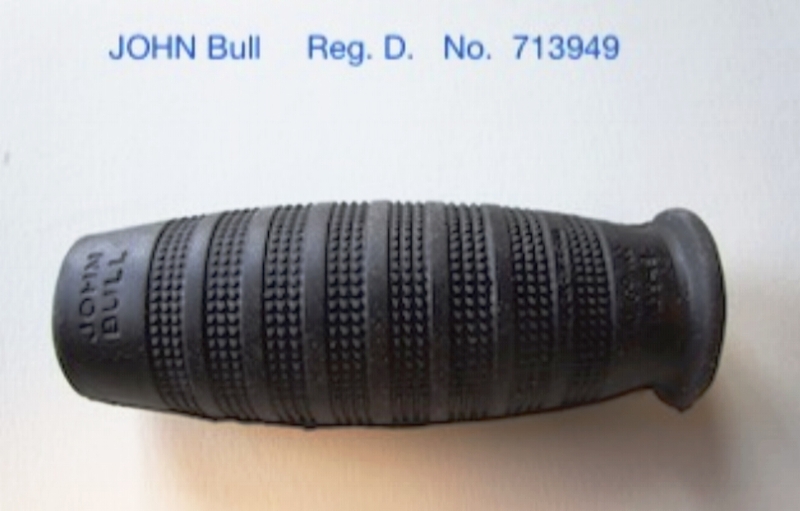 JOHN BULL black grips were specified on all Models of the CCM Flyte bicycle 1936 to 1941. #104 Singer & Co. Ball pedal rubber Now available, Red White or Black.